There’s a new buzzword taking off in the digital marketing world these days, ‘Context Marketing.’ Don’t be daunted by the need to add another word to your marketing jargon dictionary, the concept is simpler than it may seem. In this post we’ll help you understand the term and show you how you can leverage context marketing to bolster your own content strategy. Let’s start by looking back to Accenture’s 2012 CMO Insights Survey, which found that, “consumers expectations for relevant experiences are having a very important impact on long-term marketing strategy.” Two years later this concept is gaining increased attention in the mainstream marketing community, aided by the fact that the tools that marketers have at their disposal to create these experiences are more accessible and easier to use than ever before. These so-called “relevant experiences” are synonymous with context marketing. It is premised on these three key factors, 1) giving the lead or customer what they want (content), 2) when they want it, and finally 3) where and how they want it. As you likely know, it’s never been more important for your business to publish relevant content to increase lead generation and conversion. You might also know that this is easier said than done. To truly be effective your content must be driven by the pain points needs. For example, if you visit the Sales Benchmark Index site for the first time you’re immediately prompted to ‘Choose your Role,’ what better way to ensure you are giving the site visitor the content they want than to ask them? Okay, now we’re showing our site visitors the content they want. Now let’s put it in context. This means two things, first in the context of their buyers journey, and second in the proper marketing channel. Studies suggest that up to 68% of the buyers journey happens online. This means that as a lead progresses through the funnel the types of content and information they need will change as they continue to educate themselves about their problem, and how your company might be able to help them solve it. For example, if a lead has downloaded our website redesign eBook (top of funnel), next time they come back to the site they’ll be presented with a conversion map template download (middle of funnel). Their needs have changed as they've educated themselves about how to redesign their website, and we want to help them answer the more specific questions they have, in this case, by presenting them with a navigation map. Now that our content is relevant and mapped to the lifecycles of our personas, we need to make sure it's being presented to them at the right time. This means knowing how long your buying cycle is and mapping campaigns around when your personas are looking for that next piece of information as they move down the funnel. For example, with longer sales cycles, this can mean capitalizing on that first initial interest and then enrolling contacts into longer nurturing campaigns that will align with their timeline to purchase. Content must also be Omni-channel and mobile optimized. Your website must be mobile optimized, no excuses, it is 2014. Buyers consistently use multiple devices not only in the awareness and consideration stages before making a purchase, but even making the purchase itself now frequently happens on a mobile device. Your content should appear in the channels where your personas spend their time, and take the time to optimize it for that channel. Beyond this, make sure that the content is in the format that your persona would like to consume it, for an introductory audience maybe an eBook with supporting graphics would be best, for a technical engineer consider going with a whitepaper. This is of course unique to every businesses' audience, but take the time to consider the physical presentation of your content, as well as where it will live online. With these 3 steps in place you’ll be well on your way to creating an amazing marketing experience for your visitors, leads, and customers. And the best part, if you’re already using the HubSpot COS you’re already half way there as their Smart Content tools combined with some savvy segmentation and workflows can do all of the above, but we’ll have to save that set-up for the topic of a different blog post. 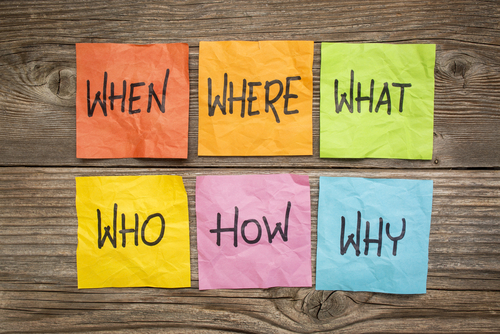 Do you have any questions about context marketing? Let us know in the comments below!